If you’re planning dinner parties or other special meals this winter, start off with a delicious appetizer. You don’t have to stick to traditional ones, such as cheese and crackers. Instead, give one or more of these seasonal appetizers a try. To make this recipe, place a thawed puff pastry on a baking sheet with parchment paper. Add raspberry preserves and sliced almonds to the center of the pastry in a circle, then put the Brie on top of this mixture. Carefully wrap the pastry over the cheese, then pinch the ends of the pastry together. Turn the pastry over, and bake at 400 degrees for about 15 minutes. For these tasty pretzels, start by placing yeast in warm water, then stir and add sugar and salt. Add flour to the mixture, then stir until you get thick dough. Knead and separate the dough into six sections. Form the dough pieces into pretzel shapes, then brush the pretzels with a beaten egg. Add a mixture of flavored seasoning and sea salt to the pretzels, then bake them for about ten minutes at 425 degrees. 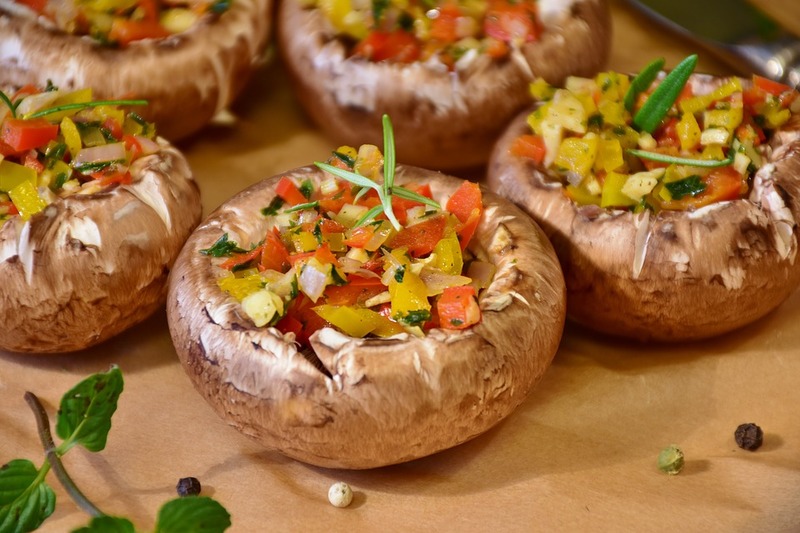 For this winter appetizer, put mushroom caps in a baking pan with the stem side facing down. Coat the caps with cooking spray, then bake for about five minutes. Drain the caps, and add your choice of filling. Whether you prefer cheese, meat, vegetables or fruit, you’ll have plenty of fillings to choose from. Some ideas include apples, smoked turkey, mozzarella cheese, cooked ham, egg salad and cream cheese with jalapeño peppers. For a meaty appetizer this season, wrap smoked sausage links with bacon and coat with brown sugar. The easiest way to do this is by filling a storage bag with brown sugar, then placing the sausages in one at a time and shaking the bag. Put the wrapped sausages in a baking pan lined with aluminum foil. Bake at 350 degrees for about 30 minutes. Make sure the bacon is brown and fully cooked before serving. Our apartments in Sherman Oaks, California have spacious dining areas that are ideal for enjoying your appetizers. Contact us to get more details on our community and apartment amenities.